Welcome to our Hotspot lending service. To further the Library’s mission to enrich lives by bringing together people, information, and ideas, we are introducing our HotSpot lending program to make information – and more specifically the Internet – accessible to everyone. Shaker Heights Public Library now has mobile HotSpots available for borrowing. You may borrow the device to access the Internet free at home, in the car, or anywhere else! HotSpots provide Internet access to smartphones, tablets, and other wireless enabled devices through the T-Mobile cellular network. Service is dependent on the availability of the T-Mobile network where the HotSpot is being used. 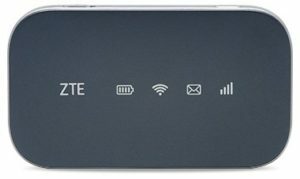 Up to 10 devices can connect to the HotSpot at one time and there are no data plan limits. A valid Library Card in good standing, with a current address on file, must be presented at the time of checkout. Holds may be placed at the Information Desks at both Shaker’s Main Library and Bertram Woods Branch, or by calling 216-991-2030 option #6. You’ll receive notification when a HotSpot becomes available. You will have 2 days (48 hours) to check out the HotSpot before your hold is cancelled. Mobile HotSpots must be returned in person to either Shaker’s Main Library or Bertram Woods Branch. A staff person will do a visual check to ensure that the device and accessories are returned in good condition. HotSpots should never be placed in Library book drop – they could be damaged and you will be responsible for replacement costs. NOTE: It may take up to a minute to establish a connection.